Debut: Episode 15 "Bogus Booty"
(where it is later found by Jin) but gets caught and withstands torture to protect Yatsuha's cover. Rescued (inadvertantly) by Mugen in a very painful state. 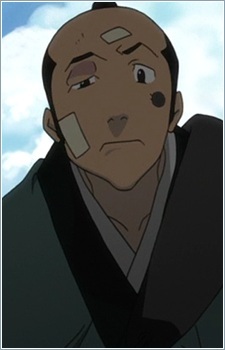 Appears again at the end of the episode, leaning the unconcious Mugen against a tree outside of town, and expresses disbelief at Yatsuha's taste in men.